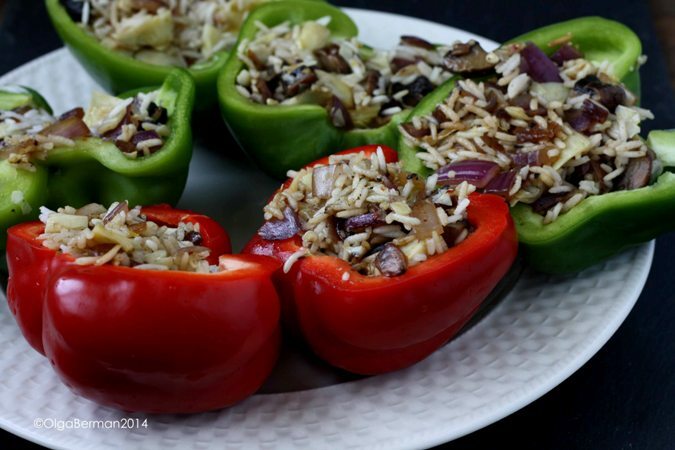 If you love stuffed peppers, you are going to want to make my Vegetarian Mushroom, Rice & Artichoke Hearts Stuffed Peppers. 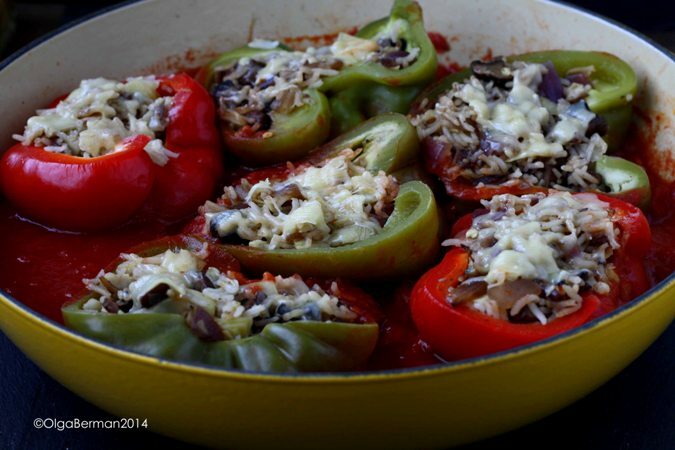 I absolutely love stuffed peppers: winter or summer, this dish reminds me of a warm hug. 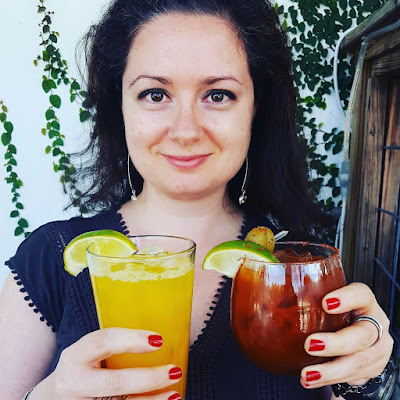 How do you like yours? Stuffed with rice and vegetables? Stewed in tomato sauce? Filled with orzo and ground lamb? Topped with sour cream and herbs? This time around I decided to make a completely vegetarian version of stuffed peppers and simmer them on the stove in tomato sauce. Also, instead of stuffing a whole pepper, I cut them lengthwise into boats: this way they cook faster and are easier to eat. The surprise ingredient in this recipe is lemon zest. It was a last minute addition I decided to try out and absolutely LOVED it: the lemon zest brightened up the entire dish and played well with the earthy flavor of mushrooms and sour flavor of artichoke hearts. 1. Heat the olive oil in a large skillet. You want to use a skillet that you'll eventually use to simmer the peppers: make sure all 6 pepper boats will fit into the skillet snuggly. You'll also want to have a lid for that skillet. 2. Once the oil is hot, add mushrooms and onions. Season with salt and pepper and sauté until the vegetables are cooked through. 3. In a bowl combine mushrooms and onions, artichoke hearts, lemon zest, rice and red pepper flakes. Allow the mixture to cool slightly. 4. Add crushed tomatoes to the skillet and bring to a simmer. 5. Meanwhile, stuff the pepper boats with the rice and vegetable mixture. Nestle the boats into the simmering crushed tomatoes, cover, and continue to simmer for about 30 minutes. 6. Take off the cover, add a bit of cheese to each pepper boat, and simmer for a few more minutes with a cover on until the cheese melts. I was really happy with how these stuffed peppers turned out. Depending on how hungry you are, you'll want to eat 1-2 of these pepper boats. They are also great as leftovers for lunch the next day. Or even 2-3 days later. 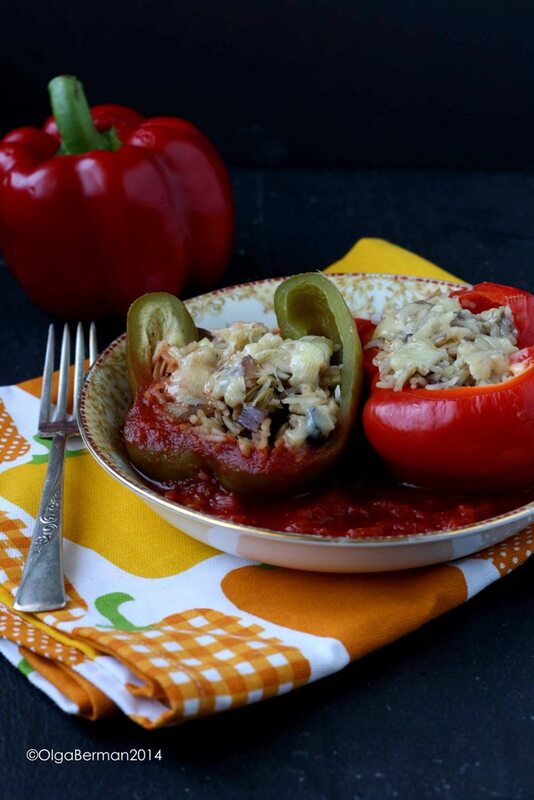 If you don't know what you are making for dinner tonight, get yourself to a grocery store and make these stuffed peppers! This is a perfect Meatless Monday dish! 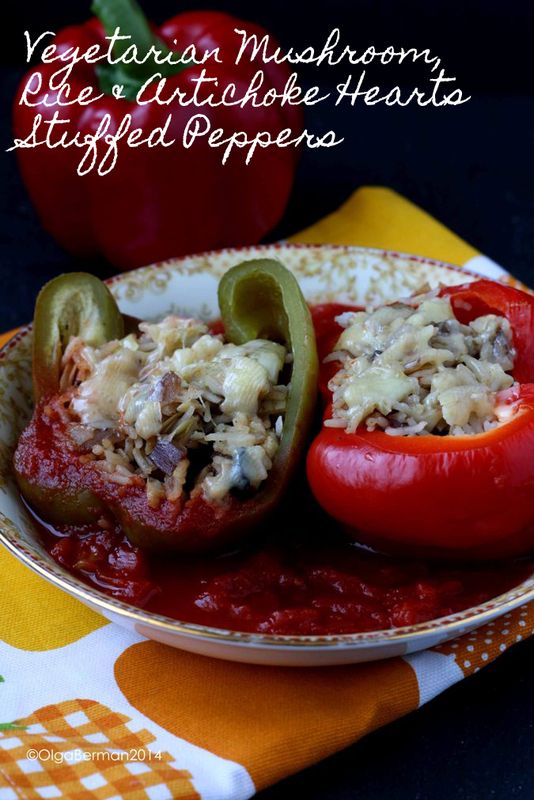 How do you make your stuffed peppers?